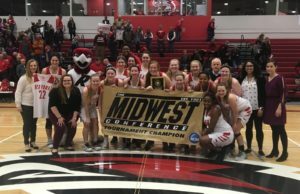 Top-seeded Ripon college captured the Midwest Conference women’s tournament championship on Saturday with a 55-48 win over Monmouth College. The Red Hawks (19-8) improved to 12-1 at home this season and will enter next weekend’s NCAA Tournament having won 16 of their last 17 games. Monmouth entered the game ranked number one in scoring offense in the Midwest Conference, while Ripon is number-one defensively. It was the Red Hawks defense that set the tone early holding Monmouth to single digits in each of the first two quarters and they never trailed. The Fighting Scots shot just 21 percent (6 of 28) in the first half. Ripon took a 22-14 lead into halftime. The Red Hawks shot 58 percent (11 of 19) in the second half, starting the third quarter on a 12-2 run. St. Norbert College baseball coach Tom Winske has resigned in order to accept an assistant coaching position at Central Michigan University. Winske leaves St. Norbert College with the most wins in Midwest Conference baseball history, posting a 444-287-1 record in 20 seasons. 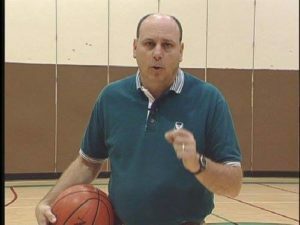 The Green Knights appeared in five NCAA Division III tournaments and won four MWC championships under Winske’s leadership. The Green Knights won 30 games in 2017, the most wins for a St. Norbert men’s sports team. Winske will be an assistant at Division 1 Central Michigan University. 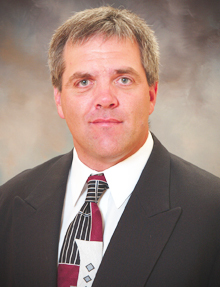 St. Norbert alumnus Jordan Bischel (Class of 2003) was named head coach of the Chippewas in June. St. Norbert College Athletic Director Tim Bald said a search for Winske’s replacement will begin immediately. St. Norbert College will add men’s volleyball as an intercollegiate varsity sport for the 2019-20 school year. Men’s volleyball will bring the total of varsity sports at St. Norbert to 23 and will be the 12th men’s sport added to St. Norbert athletics offerings. The men’s volleyball season traditionally runs from January through April. An emerging sport at the NCAA Division III level, 94 institutions sponsored men’s volleyball during the 2018 season, with at least nine schools adding it for the 2019 campaign. The NCAA Division III men’s volleyball tournament had a 12-team field this past season. Teams are allowed to compete on 22 regular-season dates. The St. Norbert men’s volleyball program will be an associate member of the Northern Athletics Collegiate Conference, which consists of 12 colleges and universities in Wisconsin and Illinois. Aurora University, Benedictine University, Concordia University of Wisconsin, Dominican University, Lakeland University, Marian University and Milwaukee School of Engineering competed for the NACC men’s volleyball championship this spring. Illinois Institute of Technology is joining the NACC in 2018-19, while Concordia University Chicago will also add men’s volleyball next year. St. Norbert College Athletic Tim Bald said the process of hiring a full-time coach who will supervise both the St. Norbert men’s and women’s programs is underway. The St. Norbert College Green Knights after being perched at the top of the Division 3 College polls all-season, but a recent bump in the road has seen them fall from first to third in the latest polls (USCHO.com & D3hockey.com). The Green Knights dropped three straight games over the last two weekends before ending the skid with a 5-1 victory over Trine on Saturday. As a result, the Knights fell from first to third. Adrian College, who handed St. Norbert one of its losses, moved into the top spot and UW-Stevens Point is now ranked second. The Wisconsin Badgers split with Notre Dame two weeks ago, then took 5 of 6 points in their two game series with Penn State this past weekend, yet for the third week in a row, there’s been no movement. The Badgers, who are 19th in the PairWise rankings, are 18th in the USCHO.com poll. Notre Dame, which also split a pair of games with Minnesota last weekend, dropped out of the top spot to number-2, with Cornell moving into the top spot. Clarkson is third, Denver fourth and Ohio State is in at number-5. The Badgers hit the road for a two-game series at Michigan this weekend, before returning home to face rival Minnesota in two weeks. Top ranked St. Norbert College was upset on Friday night, falling 5-4 to Northland College in Ashland. The Green Knights (15-2-1, 10-1 NCHA) found itself trailing 3-0 after two periods and 4-0 early in the third. After St. Norbert cut the gap to 4-2, Northland scored a fifth goal to take a 5-2 lead. The Knights would score two more times but couldn’t get the equalizer. St. Norbert outshot Northland 49-26 in the loss. The St. Norbert College women’s basketball team is unable to compete in its next 10 women’s basketball games due to a violation of institutional policy stemming from an on-campus alcohol-related incident involving a number of players. 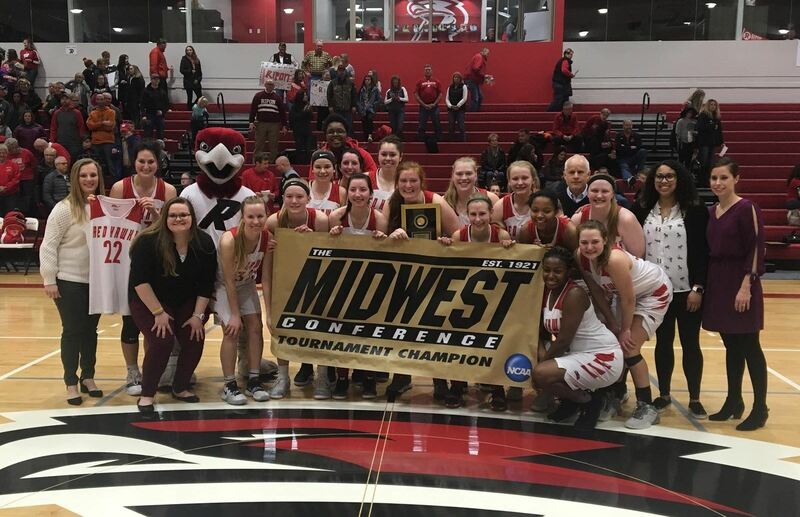 Additionally, St. Norbert College is ineligible for the Midwest Conference Women’s Basketball Tournament and regular-season championship because it is unable to play a full conference schedule as result of a situation within an institution’s control.